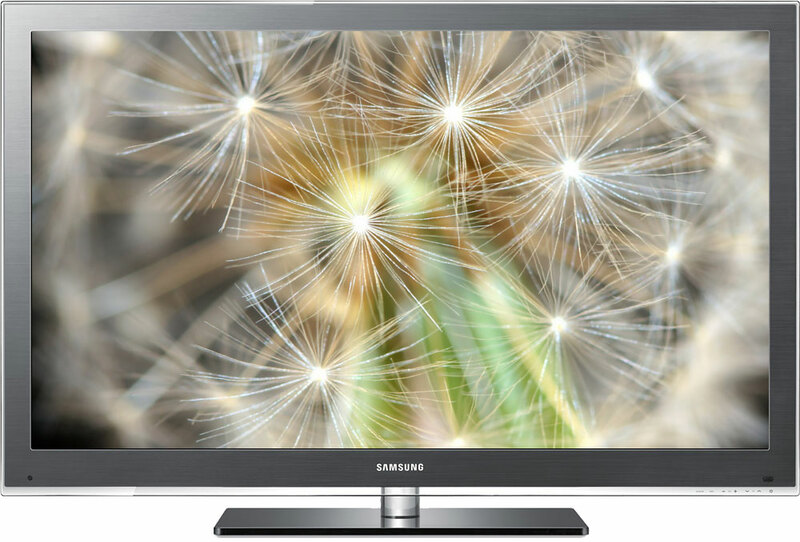 The Samsung PN50C8000 Plasma flat-panel HDTV represents the best Samsung design innovation and performance found in their 2010 line of Plasma TVs. First impressions begin with an elegantly styled brushed metal gray cabinet that measures a mere 1.5-inch deep. Lighter in weight, more efficient than their previous designs, their feature innovations offer a more powerful Internet@TV with customizable access to Internet content, a convenient homenetworking capability via its DLNA standard connectivity, a high-speed USB port, and the new 3D HDTV viewing experience with optional Samsung 3D glasses. Picture performance refinements are aimed at delivering a very natural, film-like, highly detailed picture with deep black levels and brighter colors. Features also include Samsung's Cinema Smooth processing, Motion Judder Canceller and Real Black Filter. Color style of television and stand.